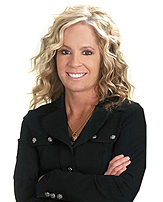 A resident of AZ for nearly 25 years, Lisa Miguel’s meteoric rise in the real estate world began in 2005 when she left her successful career in the banking world. It didn’t take long for Lisa to get to work. In her first full year as a residential Realtor, she was honored as the co-recipient of the “Rookie of the Year Award” and continues to be ranked in the top 1% of residential Realtors in Maricopa County. Lisa’s success is not accidental but based on hard work and knowledge. She received her Bachelor of Science Degree from the University of Missouri, St. Louis with a double major in Finance and Management. After that she continued her studies and received her MBA. Lisa’s commitment to excellence and to providing thorough, consistent, and unparalleled service to her clients has earned her the distinction of being a leading Realtor in the state of Arizona and she is recognized throughout the industry as a successful producer.